I haven't yet had the experience of participating in a bird banding event, but I hope to one day. Over the years I've come across many different species of birds that are wearing some type of banding device and have often wondered about the significance of the bands. Some of the birds with bands I've encountered this year include a Great Blue Heron, numerous Florida Scrub-Jays, a Pelican, a Sanderling, and a Red Knot. Learning about the banding and tracking of the migratory shorebirds has been particularly fascinating to me. These long distance traveling birds don't take part in any of the latest social networking; they're not "checking in" from their latest location on Facebook to let the world know where they are or where they've been. While one can make an educated guess about where a migrating bird came from or where the bird may be headed, no one truly knows where a bird has been or where it may be going next. Unless, that is, a bird has been banded and has a trail of resightings that can be discovered. Last year, I came across a small group of Sanderlings and Ruddy Turnstones that were foraging along the river near my home. 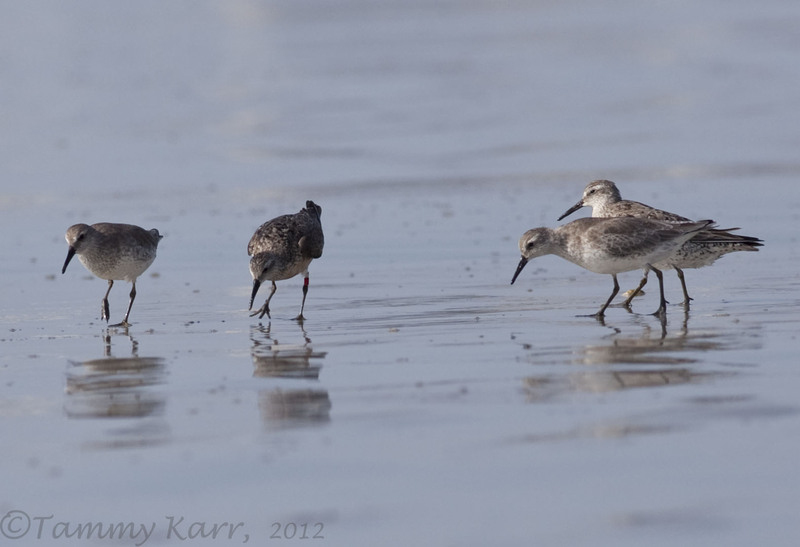 As I was taking a few photos of the group, I noticed one Sanderling was banded with a colored flag. The bird was close enough that I was able to read the characters on the flag, so I decided to see about reporting it. I had never reported a banded bird before, but with a little research I came across the website, www.bandedbirds.org. This website tracts the resightings of several species of migratory shorebirds, including, Sanderlings, Ruddy Turnstones, Red Knots, Semipalmated Sandpipers, and American Oystercatchers. The Pan American Shorebird Program implemented the use of these easy to see flags many years ago. The color of the flag indicates which country the bird was banded in. Some flags, like this one, also have alphanumeric characters on them, which are used to identify individual birds. 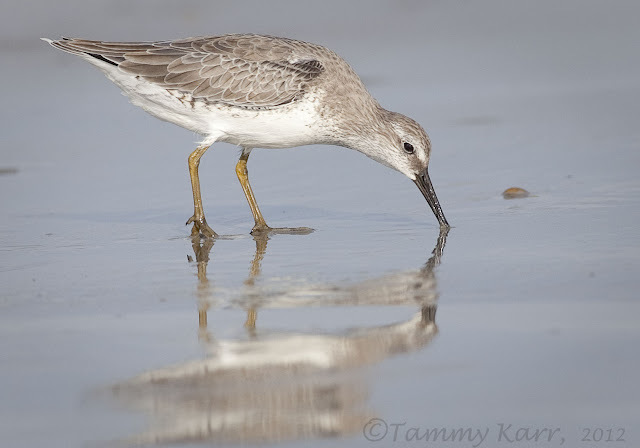 In August, I came across another banded shorebird at the beach. I saw a Red Knot, the second one from the left in the above photo, wearing a bright red flag. I wasn't able to make out the characters on the flag, but I decided to still report the sighting. This time I received an email back with a little bit of information about the bird. Based on the flag color, it is known that this bird was banded in the southern tip of Chile and based on the presence of characters on the flag, it most likely was banded in 2007 or 2008. It's mindboggling to think of how many miles this bird has probably traveled over the past 5 or 6 years. Some Red Knots travel as far as 20,000 miles in one year. Learning more about banded shorebirds has inspired me to take a closer look at the legs of shorebirds. 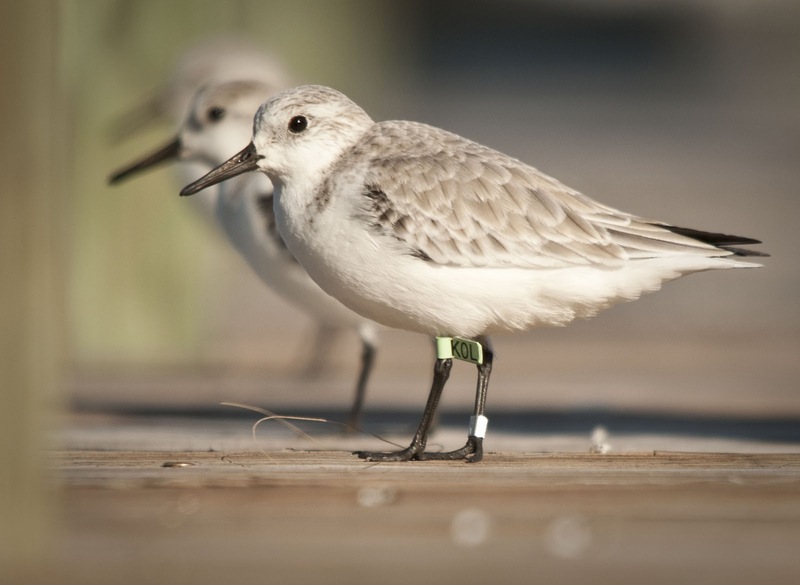 Every sighting and reporting of a banded shorebird benefits the species as it provides further knowledge of the migratory routes and necessary habitats of these birds. This information will hopefully help stop the decline of these beautiful shorebirds. 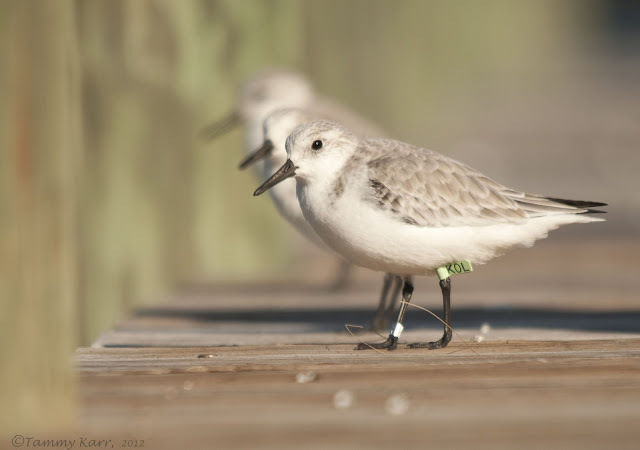 The Western Hemisphere Shorebird Reserve Network has a great article, Birding for Banded Shorebirds, which includes information on what to look for and what to record if you find a banded shorebird. Information on flag color and corresponding countries can also be found on this page. If you see a banded shorebird, be sure to report it to http://www.bandedbirds.org/. Great shots! Wonderful collection of birds, Tammy! Love your shots....cool finds. I see that every now and again as well on hummers and smaller birds around here. Thank you Chris! I bet those are some really small bands on the hummers! Great photos Tammy, all birds very well photographed, compliments. Thanks so much Irma! I hope you have a nice weekend also! I don't see nearly as many banded birds here in Utah as I did in Florida but when I do I get excited to report the band and find out as much as I can about the bird. I also think it is important to report them because the information may help us save endangered bird. I get excited too! I feel like seeing one of these birds is like finding a needle in a haystack! I agree that reporting these birds is important! Beautiful photos! Thank you for including the link to report sightings. Great command of capturing them without stirring them up... and away! 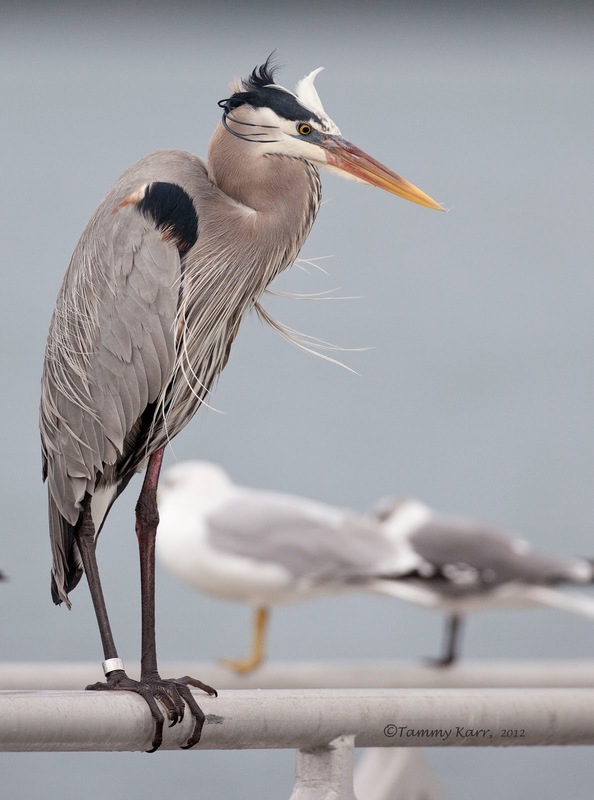 Great photos of these beautiful birds, well done technically. Tammy, I was happy to read this wonderful post! While vacationing in Florida recently I photographed at least 5 banded birds. I had planned to report them but needed to do some research on how to do so. Your post is of great assistance. Fantastic photographs, too! 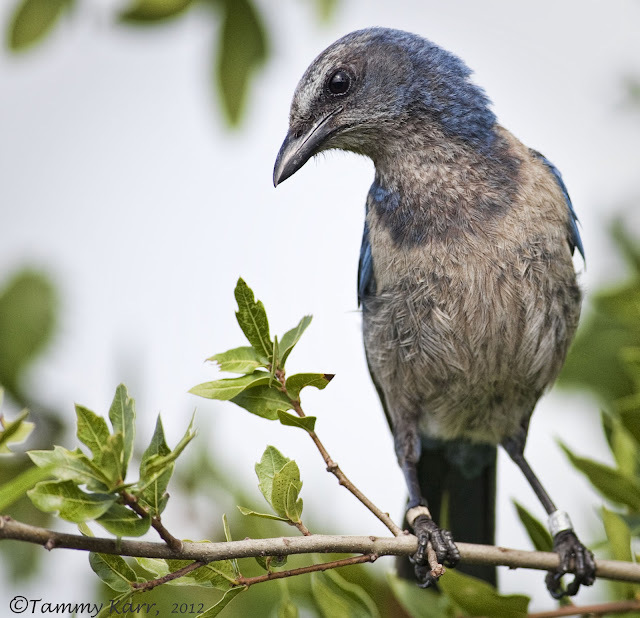 I especially love the Scrub Jay, but all are terrific! Wonderful post Tammy, It is always fascinating to get information back on a banded bird I spot, but I have never seen the flags, great information. Wow Tammy! Great photos and great info! I have never reported a banded bird though I have seen some bands on gulls before. Thanks for the links!